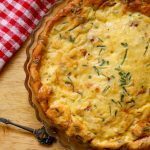 Crustless Quiche (Keto Quiche) - Headbanger's Kitchen - Keto All The Way! This crustless quiche idea was born from just having these ingredients in my fridge. I first considered just making an omelet but where is the fun in that. I tossed around a few ideas and this seemed to be the most promising. This recipe is super easy and quick to make. The chicken I used was just some pan fried chicken which was seasoned with a bottled Cajun spice mix. Eggs are one of the staples on Keto and I’ve done a massive number of egg recipes on the show. My cloud eggs which have a MILLION VIEWS!!! The chorizo omelet pizza. You get the idea. Anyway enough jibber, jabber, enjoy the video. If you’ve finished watching the video by now you would be familiar with my choice of words. A glorified omelet indeed, however, very very tasty. Let those seemingly harsh words take away nothing from this dish because it’s really good. It’s an absolute winner in terms of how easy it is to make and how you can literally throw in whatever you have left over in your fridge. Meat, veggies, different kinds of cheese, the combinations are endless. You can prepare this in advance and meal prep is done. Just cut up slices and keep it as a handy Keto snack. 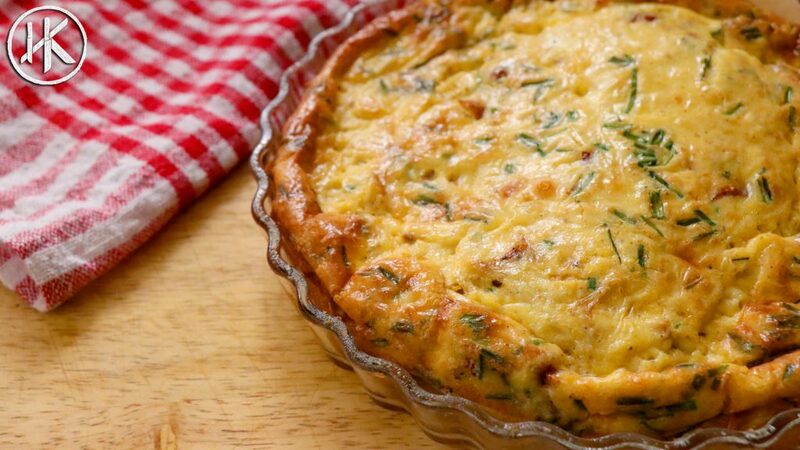 I will also find the perfect Keto pastry crust and make a quiche with the crust, but that’s another video for another time. Meanwhile feel free to share some of your favourite flavour combinations that you enjoy in your quiche. Beat the eggs and cream in a bowl along with the salt, pepper, cayenne pepper and paprika. Add in the cheese, chicken, chives and sun dried tomatoes and mix well. Grease a baking dish or quiche dish with butter and pour in the mixture. Cook at 190 C for 15-20 minutes till the quiche is cooked all the way through. What size pan do you put this in? Just “baking dish or quiche pan” doesn’t hel. I have different sizes of those. That aside, this recipe sounds very appealing. Mine must have been about 7″ I htink.